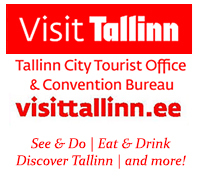 Welcome to the 2019 Winter Congress and 141st General Assembly of Delegates to be held in Tallinn, Estonia. We invite you to contact the Hotel directly to make your reservation for the CIA Winter Congress. To receive the CIA rate, please make your booking before 24 February 2019. Room rates are Single room at 85 EUR per night and Double room at 95 EUR per night. Room rates include breakfast, wireless Internet connection and the use of the fitness center. The special CIA rate is available up to two days before and after the event. To make your booking we ask that you kindly forward your request to Mrs Piret Õun: send an e-mail . Subject line: The Confédération Internationale des Accordéonistes Winter Congress. It is suggested that when making your booking, you make your lunch reservation as well which are offered at a special rate of EUR 25. We invite you to download the flyer with all the information on the Hotel, Concert Venues and Schedule in .pdf format. Please complete the following steps using either your 'mouse' or 'tab' key to move between sections. Please submit your information by clicking the "SUBMIT DELEGATE INFO" button below.